If money is emotional, then why do we persist in trying to manage our personal finances logically? We already know what it takes to become financially healthy: spend less than we make, pay down our debt, and save more money. Money management books, tools, and techniques abound, yet most of us don’t utilize them. Maybe you’ve adopted the practice of ignoring money problems until they are barreling down on you like a tidal wave, as I once did. I know what it feels like to be drowning financially. I’d like to propose a better alternative, one that doesn’t require you to eat beans and rice or to spend hours updating budget spreadsheets. My approach to personal finance is called “Mindful Money Management”. It is unique in that it harnesses the power of your emotions, so they can propel you forward like a rocket booster towards your Preferred Financial Destination. 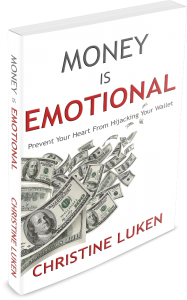 Yes, money is emotional, but you can prevent your heart from hijacking your wallet. This book will show you how. 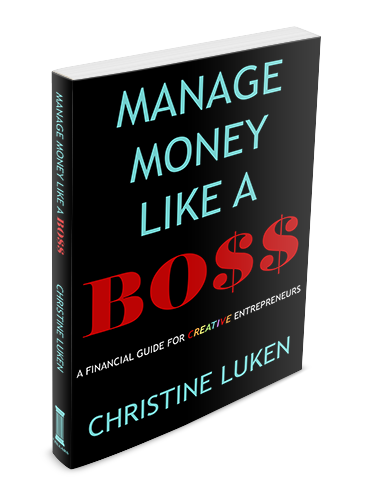 or Manage Money Like a Boss for your company, school, group, or organization? This isn’t just a book about business finance. We dive deep into some surprising things that impact your bottom line, like mindset, sales, and professionalism. My goal is give you both the confidence and competence to manage your money and your business like a BO$$. Click HERE for the Free Workbook. Download the first 3 chapters for FREE below!